So, is 650 a good credit score? There are a few factors that determine how risky a borrower you'll be. 650 isn't great, but it's workable. You’ve found out you had a 650 credit score and asked yourself is 650 a good credit score? Well, according to FICO you’re in the “Fair Credit” category which is between 580 and 669. 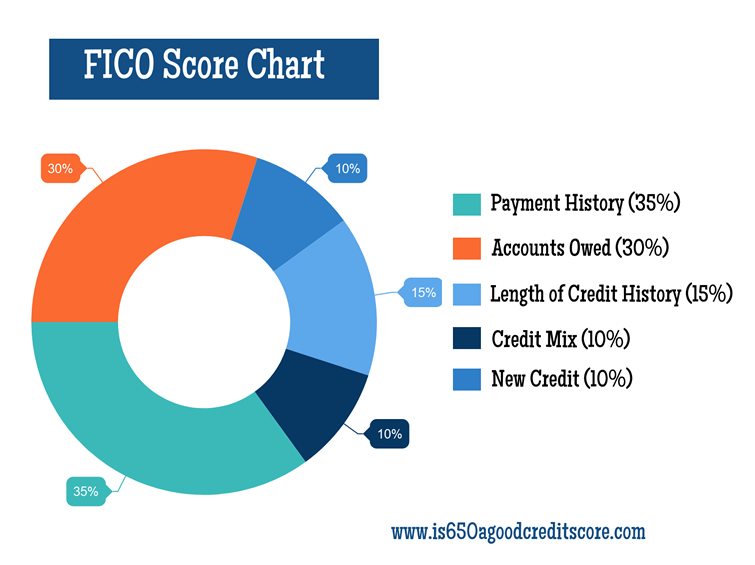 When it comes to FICO scores, the limits are 300 to 850. And lenders will generally approve those with fair credit. For instance, when deciding to purchase a home, the minimum credit score needed to receive a conventional mortgage is 620. And if purchasing a loan through the Federal Housing Administration (FHA), they only require a credit score of 580. Are there more credit score ranges? Each credit bureau (TransUnion, Equifax and Experian) have their own unique credit score ranges. And there are other credit ranges lenders might utilize as well. However, the FICO credit score is the one mostly used so if tracking your score, it’s best to stick with this one. As your FICO score improves through on-time payments, low debt-to-income ratio and a strong credit history, the trend will reflect in other credit score types. The truth is there’s no uniform method lenders use to decide who they’ll lend to based on credit score. They each have their own system and will cater to their own specific requirements when lending. Economic conditions, a borrowers work history, income and amount of a down payment are all additional factors lenders will consider when deciding to approve a loan. If you have a spotty work history and a 650 credit score, banks might not be willing to approve your loan compared to those who’ve maintained a steady income and posses the same score. 650 isn’t considered good for a few reasons. In fact, anything between 580 and 669 indicates issues because it shows a damaged credit history. Within this score range, your record will indicate some late payments to most lenders. At times, your account may hold a default status and you may suffer from future credit denial. This is why improving your credit score will ensure lower interest rates and allow you acceptance with better credit card options. 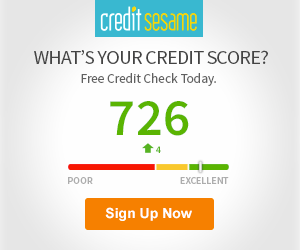 Ideally, you’d want a very good to exceptional credit score which has a range between 740 to 850. How is the rest of America doing credit-wise? According to FICO, the national average credit score in 2015 was 695. This is an improvement from 2005 which had an average score of 688. More U.S. citizens have a score above 800 in 2015 compared to 2005 – 19.9 percent vs. 16.9 percent. Also, fewer U.S. consumers have a credit score below 550 in 2015 (12.5%) compared to those in 2005 (14.6%). – Payment history: This accounts for 35 percent of your score. Keep making on-time payments and you’ll be in good shape. – How much you owe (Debt): This counts as 30 percent of your credit score. Those who continually max out lines of credit are considered risky borrowers compared to those who maintain low credit card balances. Experts believe keeping your balances below 30 percent of available credit will help maintain an excellent score. – Length of your credit history: An established credit history accounts for 15 percent of your credit score. The longer you have a credit account open and are making timely payments, the higher your score will be. – Credit mix: Borrowers who have a diverse mix of credit and loans (lines of credit, auto, mortgage, etc) and are able to make timely payments are seen as capable of handling various amounts of debt. FICO considers these borrowers less of a risk and accounts a 10 percent weight on credit mix. – New credit: Having multiple lines of credit openings can be a sign of financial problems to FICO. As a result, your score will be impacted negatively. This is 10 percent of your credit score. So, you’ve asked the question “is 650 a good credit score”, and found that it’s not necessarily good, but fair. What are the steps to improving your 650 credit score? Practice Good Financial Habits: To help with improving your FICO score, incorporating smart personal finance habits would be beneficial. Setting up emergency funds, using budgeting software and maintaining a steady work history will ensure you’ll stay on top of your debt. Check your Credit Report: The Federal Trade Commission (FTC) found that 1 in 5 Americans had at least one error on their credit report in 2012. Errors on your report can negatively effect your score. The FTC reported that 20 percent of those who disputed the errors increased their credit score. Stay the Course: The longer you practice these tips, your score will eventually rise to an acceptable number. Banks typically want to know how dependable you are and so having a long history of making timely payments will in the long run benefit you with cheaper loans. Lastly, it’s important that you do all you can to stay out of common financial hardship situations. Delinquencies, unpaid taxes and bankruptcies can stay on your credit report for years. Delinquencies can remain on your Experian credit report for 7 years; bankruptcies and unpaid taxes for 10. The last thing you want is for your 650 credit score to plummet. Albeit, some issues are unavoidable, but implementing a plan and sticking to it will be beneficial in the long run. You can check your credit report from all three Credit Reporting Agencies (TransUnion, Equifax and Experian) for free once every year.